This USB means business! 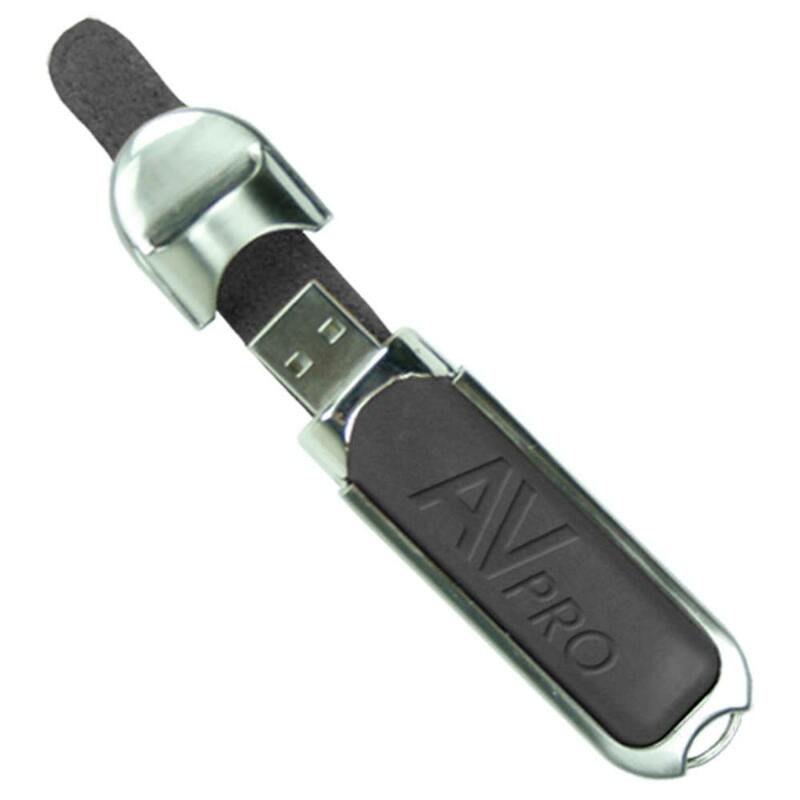 Our Executive Leather USB drive is made out of artificial or genuine leather. 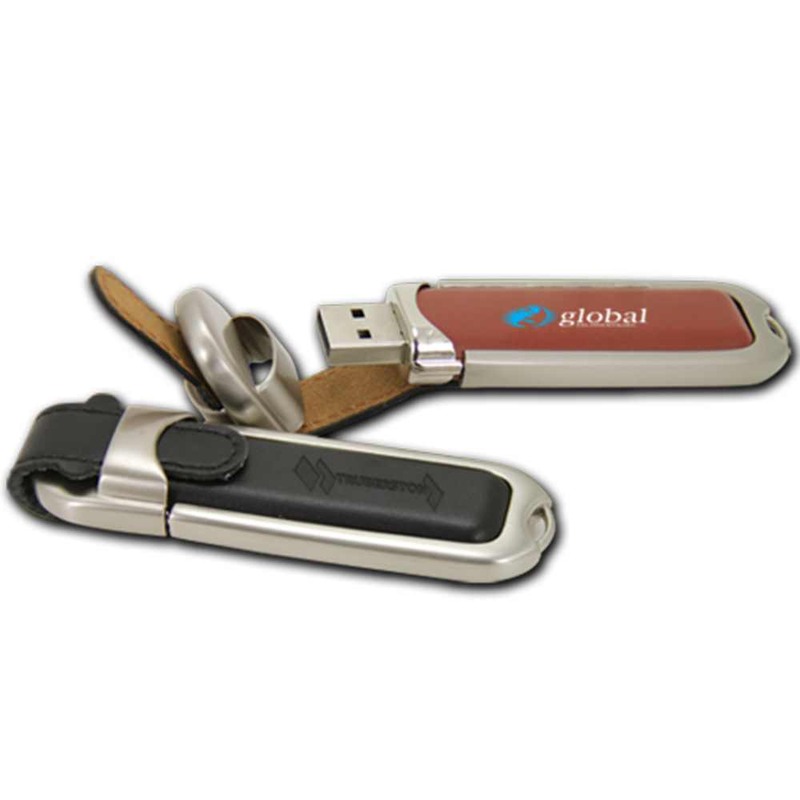 This handsome branded USB drive pairs well with luggage and briefcases. It comes with a Free 4-Color Silkscreen or Heat Stamping so you can personalize your drive with your company logo. 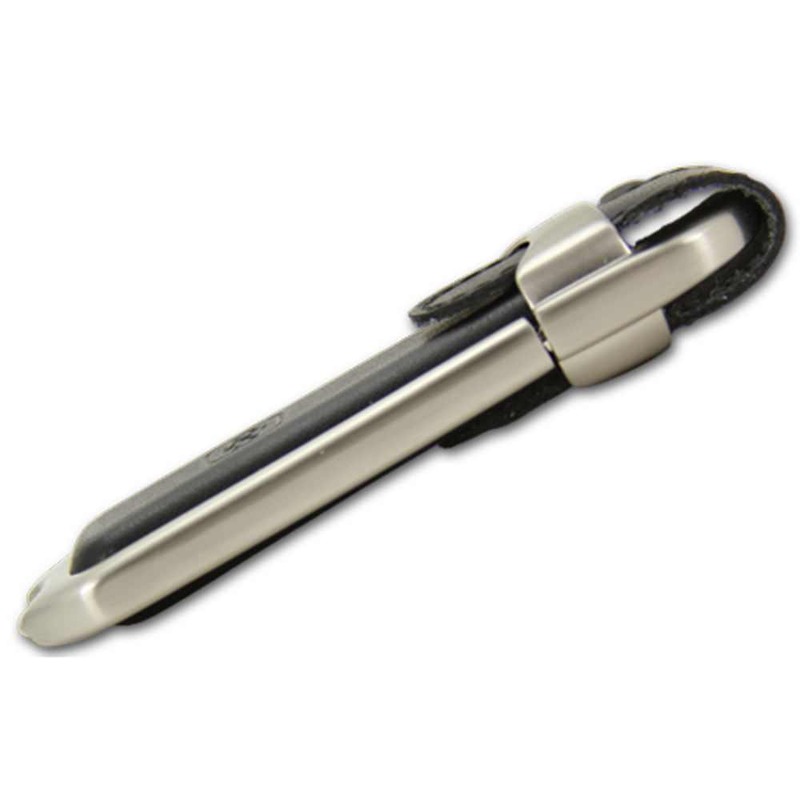 Great for either yourself, promotional products, or as custom gifts. The Executive has a magnetic cover and features a no-lose cap. It also has a built-in key loop for easy transport. The Executive Leather USB is available with FREE shipping. A USB that means serious business, our Executive Leather USB custom drive is designed to go well with his briefcase! 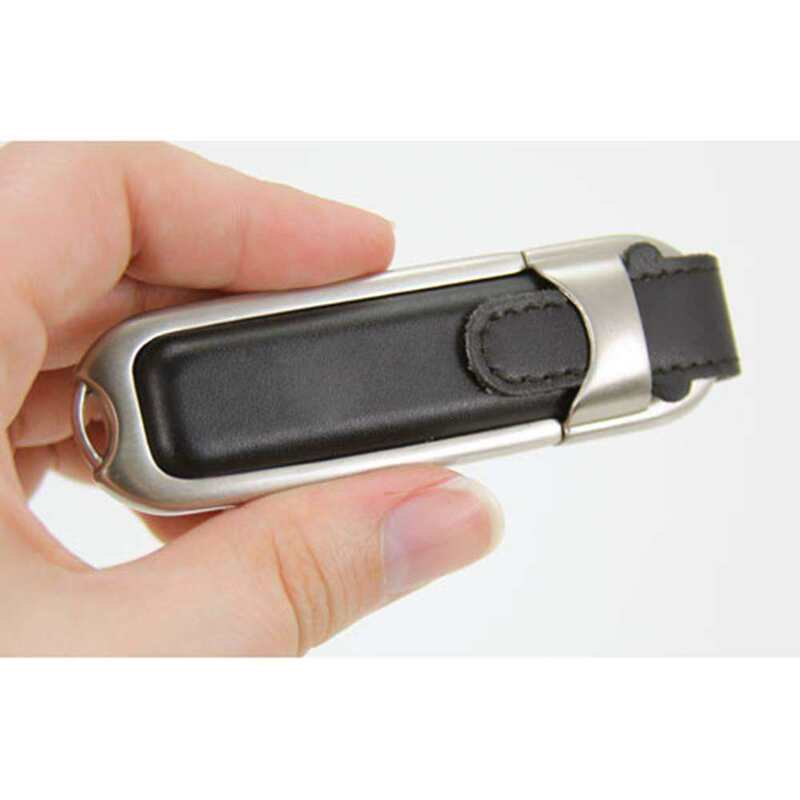 This customizable drive is available in either artificial or genuine leather that comes in black or brown colors. 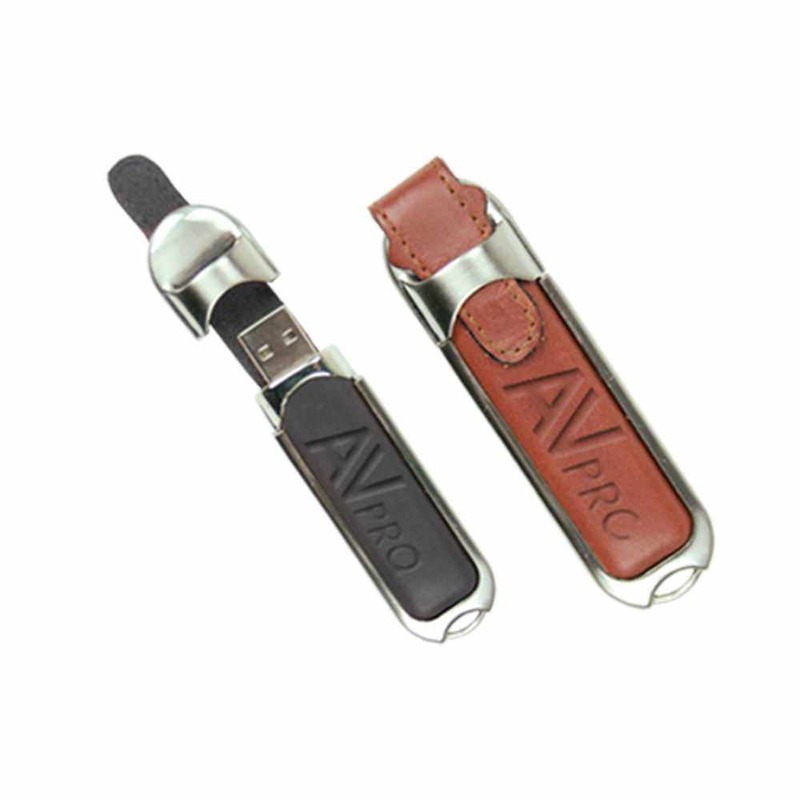 The Executive comes with a Free 4-Color Silkscreen or Heat Stamping, so you can get this handsome leather flash drive personalized with your logo.It comes with a magnetic cover and features a no-lose cap. The Executive has a built-in key loop that makes it easy to attach this bold drive to keyrings, belt loops, laptop bags, straps, and even suitcases! This custom drive has storage capacities ranging from 128MB to 32GB, perfect for storing your documents, pictures, multimedia, videos, presentations, music and other important files. The Executive comes with a shock resistance of 1,000G, up to 10 years of data retention, and a limited lifetime warranty. This USB drive is compatible with PC, Mac, and Linux. 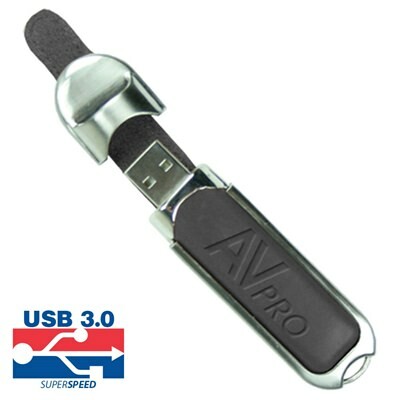 The Executive Leather USB is available with FREE shipping ! We can produce these drives in 10 business days, so you won’t have to wait too long to get a USB drive that’s fit for a Wall Street tycoon.